Includes quotes from Premier David Alward, Liberal leader Brian Gallant and NDP leader Dominic Cardy. “New Brunswick’s provincial Liberal leader is taking federal Liberal Leader Justin Trudeau’s line in warning his candidates to either support abortion rights or get out of the way. 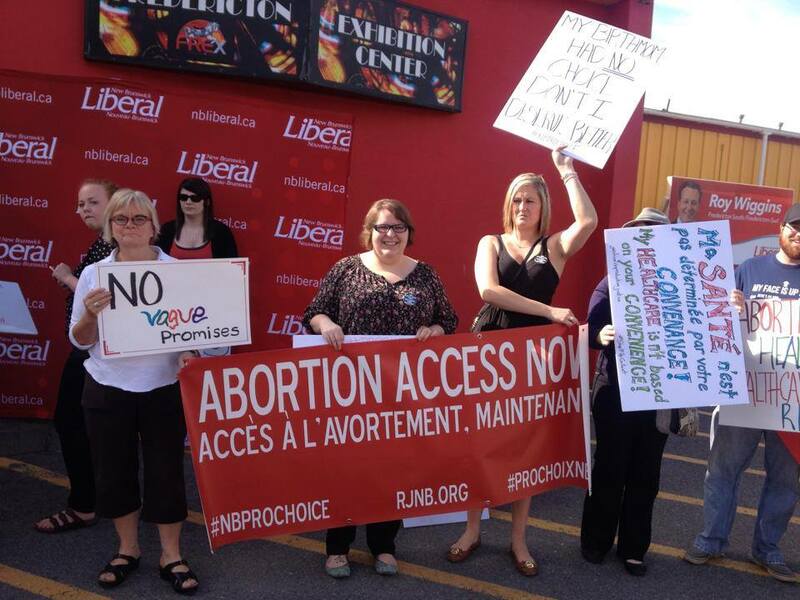 Brian Gallant said he plans to “remove barriers” to abortion if elected. “The impatience with Gallant among abortion-rights activists, and the opposition he has encountered from abortion opponents, is partly a result of his own careful choice of words. Gallant has declared himself “pro-choice” and has suggested his promised review would almost certainly lead to the repeal of what’s known as the two-doctor rule. …The ideal political math for Gallant on abortion would be to have some progressive-minded women hold their nose and vote Liberal in the hopes he follows through — while at the same time anti-abortion Liberals remain loyal to the party.